The French and German governments announced this weekend that they will send troops from a joint military brigade to Mali, to help fight rebel groups in the West-African country and terminate the looming threat. The announcement, which came after a security and defense meeting in the French capital last Wednesday, also said that the troops would reinforce a mission sent to Mali in Feb 2013 to help train the country’s troops to battle internal threats, and also generally enhance counter-terrorism efforts in the region. France sent troops to its former colony in January 2013 at the request of officials in the capital Bamako, and with blessings from the UN Security Council, to battle Islamist rebel groups, who had taken over the country’s desert north nearly a year before. Mali had descended into chaos in the wake of a March 2012 coup by military officers who were unsatisfied with the way the civilian administration was dealing with a Tuareg rebellion in the north, calling for independence from the state. The military campaign was halted thereby creating a vacuum, which was quickly filled by the Ansar Dine rebels who pushed back the Tuareg and then imposed a severe strain of Islamic law; they then began to capture towns in their southward push. French troops had successfully pushed the Islamists out of the territories they occupied, killing hundreds of them in the process. Others fled into the desert and mountains. Just last month, France targeted and killed 11 suspected Islamists and made a large weapons seizure. 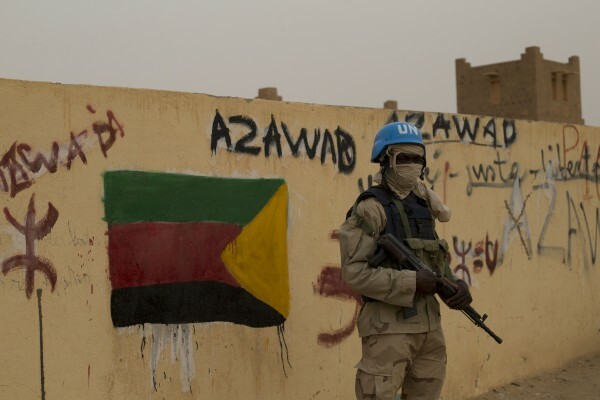 Beijing had also sent 135 members of its security forces for a peacekeeping mission to Mali, the first foray of China sending security forces to UN operations. The Chinese team included engineers, medical staff and security guards – the advance troops of a 395-strong force that China will send to Mali at the request of the UN. President Ibrahim Boubacar Keita, who was voted into office in EU supervised elections in August 2013, has been facing pressures from the international community as well as Malian civil society to begin negotiations with the northern rebels. Last Tuesday, the first round of UN sponsored talks between the Malian government and rebel groups of the north concluded with an agreement that rebel fighters would be confined to barracks in 30 locations across the country, as negotiations take place to find a peaceful end to the longstanding conflict. Several relief agencies have warned of another threat to Mali’s overall stability, an impeding food crisis, with 800,000 citizens already in need of urgent assistance.